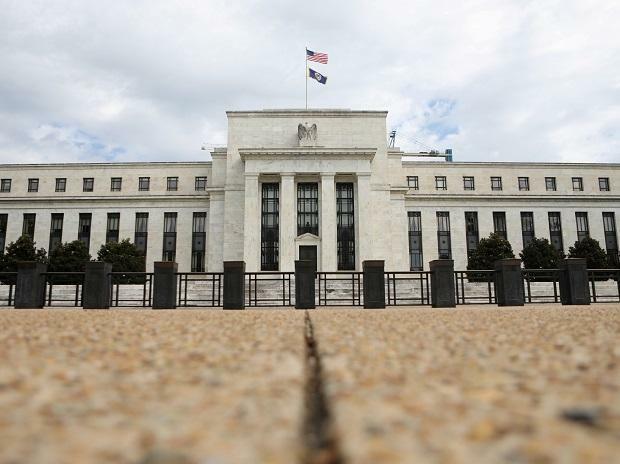 The Federal Reserve on Wednesday signalled they will soon lay out a plan to stop letting go of $4 trillion in bonds and other assets, but policymakers are still debating how long their newly adopted "patient" stance on US rates policy will last. For now, policymakers see little risk of leaving interest rates alone while they take time to assess rising risks, including a global slowdown, according to the Fed's minutes from their January 29-30 meeting, released on Wednesday. Those split views suggest that the central bank may not yet have ended its three-year campaign to raise interest rates, but has merely put it on an extended pause. In January the Fed surprised markets by saying it would be patient about adjusting its target range for short-term interest rates, now between 2.25 per cent and 2.5 per cent. But doubts have remained, with traders in US interest-rate futures placing increasing bets that the Fed will need to ease policy by early next year to counter a downturn. The tone of the minutes was "decidedly noncommittal," according to Ward McCarthy, an economist at Jefferies LLC. "Almost all participants thought that it would be desirable to announce before too long a plan to stop reducing the Federal Reserve's asset holdings later this year," the minutes said. Research staff presented options at the meeting for "substantially slowing" the runoff of the Fed's balance sheet, "at some point over the latter half of this year." The runoff is currently capped at $50 billion a month. Bob Miller, Head of US Multi-Sector Fixed Income at BlackRock Inc, said he is now expecting a balance sheet plan from the Fed by the May meeting minutes, a decision on the matter by June and a halt to the Fed's runoff by October, if not July. This will help US financial conditions and markets, he said. "The fact is that the Committee has spent three consecutive policy meetings discussing the balance sheet in detail, and to us that suggests some urgency in addressing the questions surrounding its future," Miller said in a note.